You always go in for one thing... and if you're not careful you might just come out with 63 engagement photos. The internet has been swooning this week over a North Texas couple’s engagement photo shoot at a Frisco Target store. 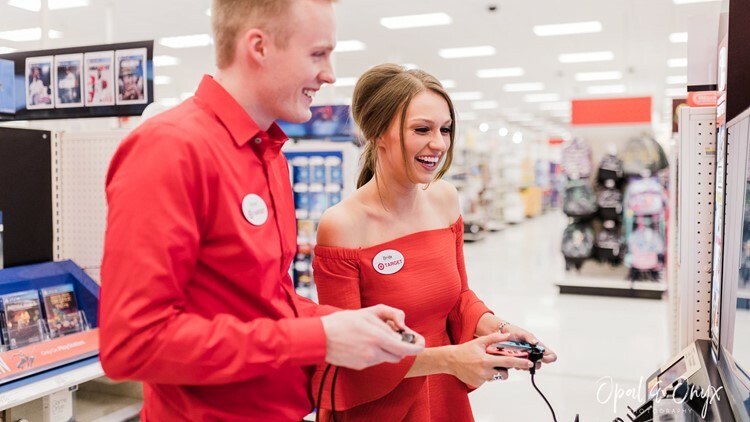 Kacie Howell and Michael Bauer decided to do an engagement shoot at the Target store where they met in 2015 (and worked in different departments). The photos, taken by Bailey Elizabeth of Opal & Onyx Photography, rather majestically capture the couple’s PDA in front of shopping carts, within the aisles and even playing video games together in the electronics section. The couple hired Opal & Onyx for their 2019 Colorado wedding a few months back. 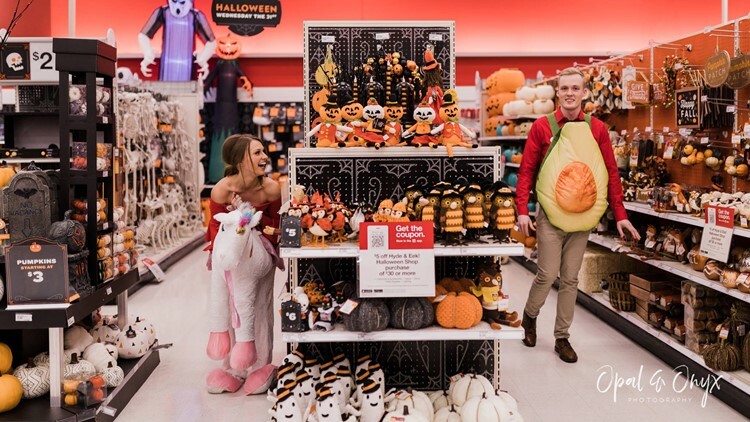 The Target photo shoot was Kacie’s idea – although she said in a Facebook post that family and friends joked about it before the couple was even engaged. If Kacie and Michael’s adorable pillow fight or avocado and unicorn Halloween costumes aren’t enough to hit you straight in the feels, the story behind the shoot will be. The point wasn’t, as Kacie put it in a public Facebook post, to be “extra” or show an obsession” with Target. It was not only to commemorate the place where she and Michael met, but pay homage to a time when she regained her confidence. Michael’s courtship helped bring her out of her funk. Kacie says she and Michael turned down interview requests from the media because the photo shoot was “something fun” for them, their family and friends. For inquiring minds, the Target shoot wasn’t the only engagement session for Kacie and Michael. Bailey photographed a second session with them recently in a more traditional, nature-and-sunset setting. Thanks to Opal & Onyx Photography for sharing some of her photos with us.